the problem of changing shoes or shoe cover by hand when people enter into a clean room. 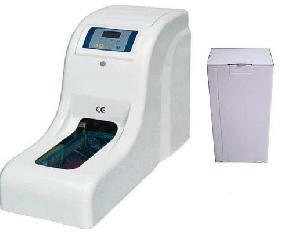 3.The SK-CB shoe cover dispenser holds 100pcs shoe cover per time. It has attractive design, spacesaving and can be used in business occasion as well as luxurious homes.